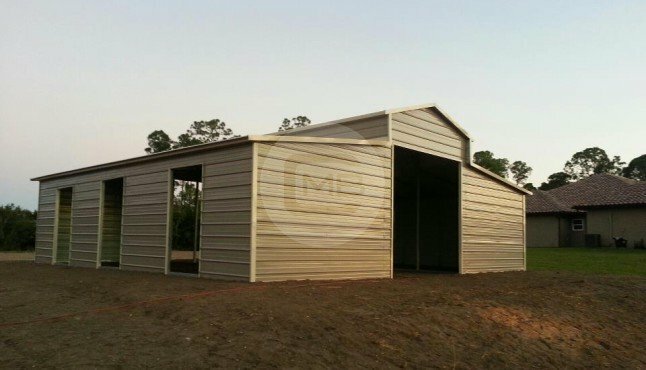 Certified Vertical Roof Raised Center Barn 20’W x 46’L x 10’Ht., Enclosed with(2)10×10 Frame outs and (4)5×6 frame outs and (2)30”x30” windows. 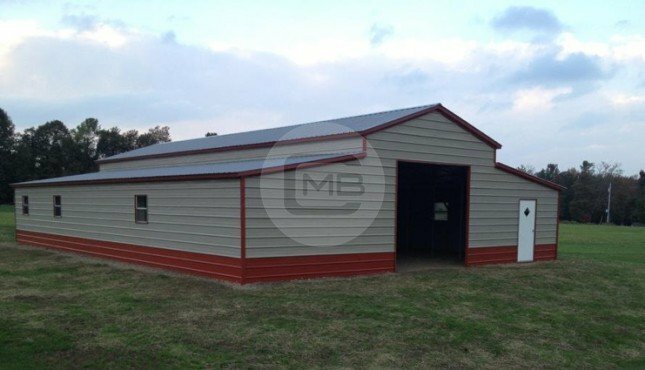 (2) 12’W x 46’L x 7’Ht. 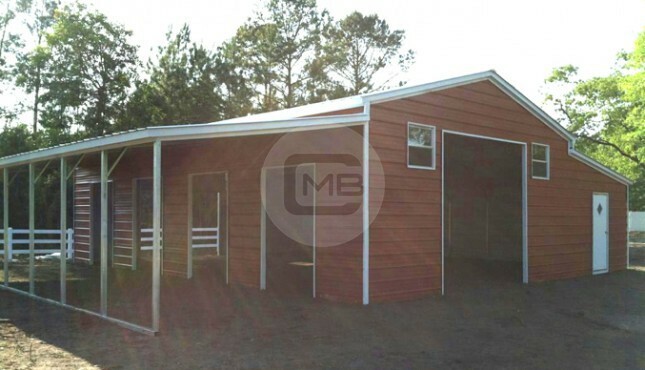 Lean-to’s, one open and the other Enclosed with (1)36”x80” Walk In Door.